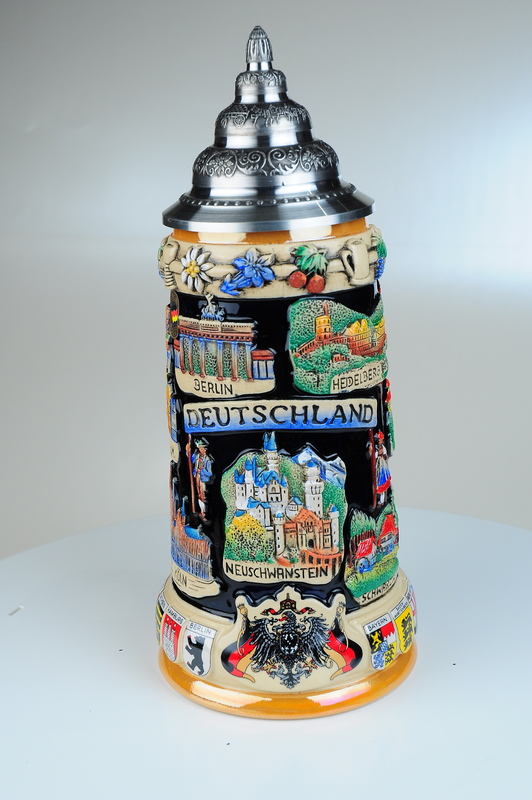 This stein produced by King features a panoramic version of mainy famous German city skylines. The skilines are in a raised relief for the following cities : Duesseldorf, Frankfurl, Rudesheim, Koln (cologne) Neuschwanstein, Heidelberg, Munich, nurnberg, rothenburg. The center shield features a decal with the German Eagle Coat of Arms. 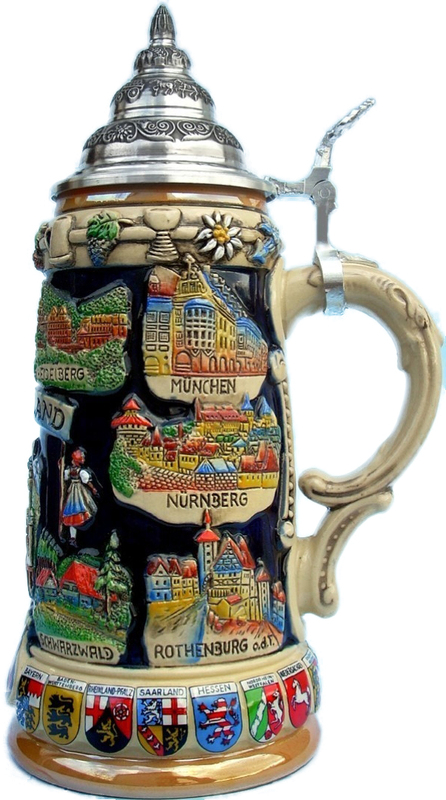 On the bottom rim of the stein you will find decals of all German states. Copyright GermanMart,Ltd.. All Rights Reserved. with 3DCart Sell Online.